Is It Too Early For Sheep? 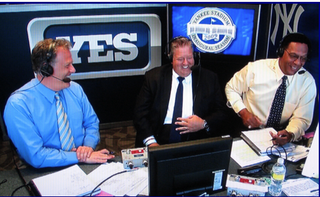 Charlie Weis was in the YES booth last night, prompting The Sports Hernia to observe, "What is this, the Make-A-Wish Foundation for assholes?" Why so nasty, SH? But Weis was in the booth, presumably, because Notre Dame will play Army at the Bronx Bellagio on Nov. 20 2010. Weis realizes he won't be around by that time to enjoy it, so this is the closest he'll get to the royalty treatment. Good morning. It's Tuesday. Start your hot rod.